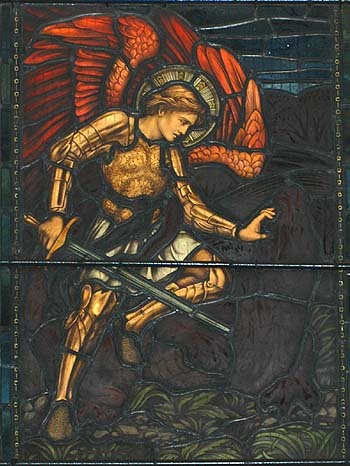 These windows were added after the first World War and are the only designs not by Burne-Jones. They were part of the furnishing of the Soldiers Chapel as a War Memorial. 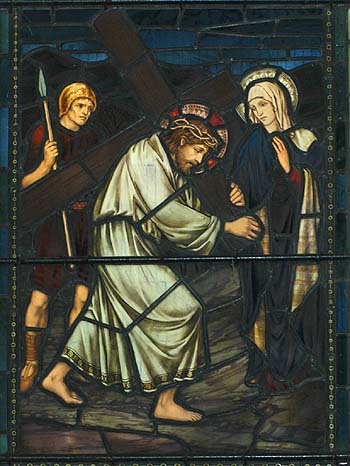 The figure on the left represents Sacrifice and that on the right Victory and respectively they depict Christ carrying the Cross and St. Michael and the Dragon.